Marijuana prohibition is coming to an end as medical and recreational legalization takes over the country. However some patients have been repeatedly overlooked for far too long: our nation’s veterans. No one denies these citizens should have access to medicine to aid their illnesses developed before or after their service. Every state has a different list for qualifying conditions, some accepting mental and physical illnesses. Many organizations relentlessly urge Health Boards and lawmakers to acknowledge the benefits. Some studies have even shown a few marijuana strains have been shown to reduce many symptoms that are common for PTSD and many like disorders. It’s time to get veterans their deserved medicine. The Department of Veterans Affairs proposed the Veterans Equal Access Act to Congress on November 19. The passing of this bill would permit the Department of Veterans Affairs doctors to write their patients a recommendation for medical marijuana use for qualifying conditions. This would apply to all states with legal medical marijuana, hopefully adding to the ten states that offer cannabis for mental health issues. Dr. Sue Sisley was recently fired from the University of Arizona this summer who was unjustifiably fired from her position, which she believes was a political move. After her studies abruptly stopped upon losing her position, in response the Colorado health department was one of a few organizations who granted Dr. Sisley a total of $7.6 million to continue her research on benefits marijuana had to treat PTSD. Out of the troops who make it home, around 30 percent have PTSD, with many suicides linked to lack of acknowledging the issue and not seeking help. Veterans come home and deal with a myriad of varying health issues including depression, traumatic brain injury, painful flashbacks, nightmares, emotional distance, memory problems and sleep apnea. While the use of medical marijuana is not easily accessible, patients find other coping mechanisms, one of which is substance abuse. 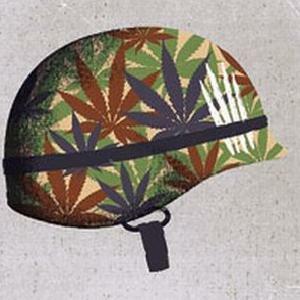 The cannabis plant has been shown to cure up to 75 percent of PTSD symptoms, making life enjoyable again for patients. Of the long list of medical cannabis strains, a few have been singled out as the most effective. Pot of Gold, the Pure OG and LA Confidential are all strains that specifically treat symptoms like appetite loss, stress, pain and depression, completely relaxing the patient. This industry is still growing as more conditions qualify for the use of medical marijuana, leaving some niches hardly touched. Those who need medicine–yet lack an influential voice to fight for it–need the voices of other people in the industry to support them. Conventions, marketing and rallying all play a huge part in the end of prohibition. Our veterans have been overlooked for far too long; it’s time to popularize the medicine needed to heal our veterans.